Professor Townsend's book will be of interest not only to Bohemists, but also to students of Slavic linguistics and to sociolinguists, since spoken and written Czech are radically different and present an unusually interesting case of diglossia. 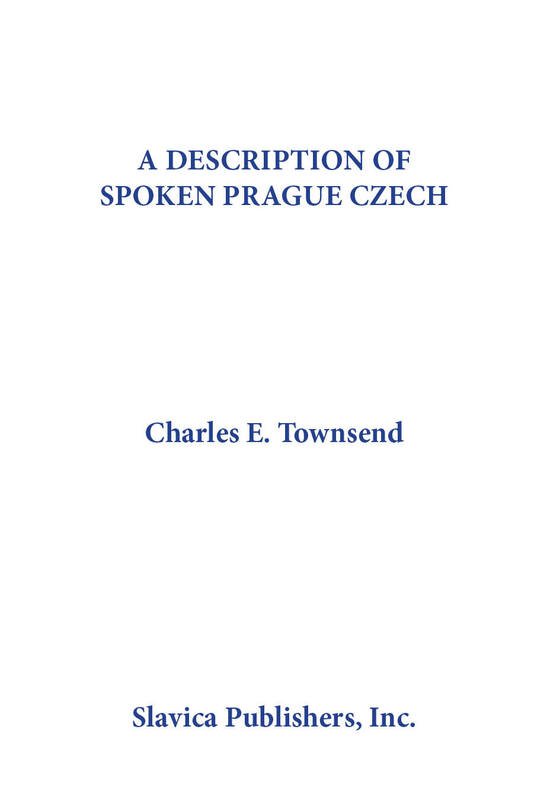 The description of spoken Czech offered here stems first and foremost from detailed study of the speech of a large number of Prague speakers of various ages and backgrounds and from thorough questioning of many of them. A Description of Spoken Prague Czech is an effort to make accessible to researchers and students of Czech a language which is certainly a speech entity but which is very difficult to pinpoint and one which most Prague Bohemists refrain from defining, let alone describing. The relatively few existing studies of spoken Prague Czech, and the advice and comments of several Bohemists have been taken into account in the final version. "...a reliable reference guide and sourcebook..." (SEEJ).